This week's Challenger Approaching takes a look at one of Nintendo's come back kids. A character that few thought would ever see the light of day outside of his 1994 Super Nintendo sequel. Bio: Known for his "never give up" spirit and his interesting choice of all pink workout apparel, Little Mac has been bustin' heads for 25 years. 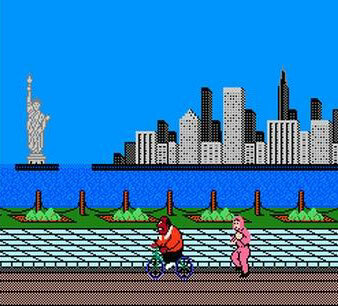 Though the original Punch Out!! was technically an arcade game, it didn't star Little Mac. The arcade version featured a see-through wire frame main character, but the NES couldn't handle such advanced graphics. For this reason developers decided simply to shrink their protagonist and thus Little Mac was born. Three fantastic games and six exclamation points later he's still going strong. Attack Plan: With his vast array of fire arms and his... heli... copter. Wait. Little Mac? Well my best guess is that he'd punch opponents. A LOT. I'm talking upper cuts that get you back to the ledge, double handed wallops from up in the air, and some fancy one two jabs at close range. I mean, he's a boxer. What do you expect? I'm sure Nintendo could make Mac one of the best (and most powerful) close range fighters to date. After all, he was already an assist trophy in Brawl.